RCMP look for 3 men in connection with attempted murder in Onion Lake, Sask. RCMP are looking for three men after a woman was shot in the head earlier this month on the Onion Lake Cree Nation. On Dec. 6, RCMP received a call that a woman, 24, had sustained a gun shot to the head. The suspects had already fled when officers arrived. The woman was brought to hospital in Lloydminster, Sask., before being airlifted to Royal University Hospital in Saskatoon. She has been released from hospital and is still recovering from her injuries. 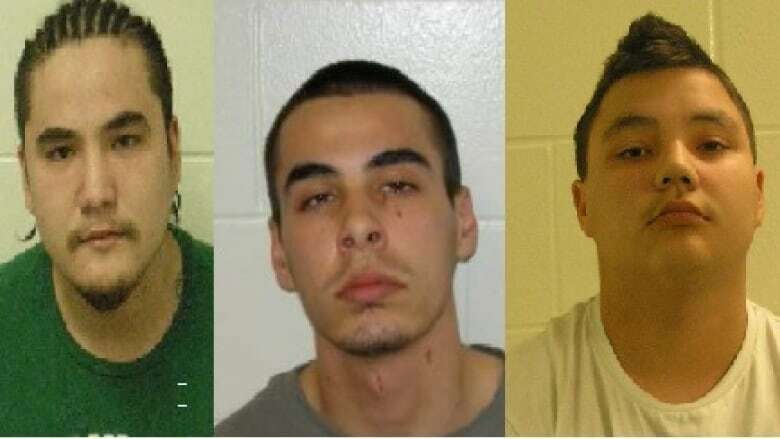 RCMP said three men from Onion Lake are wanted for attempted murder and aggravated assault. Officers are looking for Damian Kiefer Dillon, 21, Jesse Eric Dillon, 24, and Terrance Charles Stonechild, 27. The Onion Lake Cree Nation is located on the Saskatchewan-Alberta border, about 50 kilometres north of Lloydminster. RCMP are asking anyone with information to contact them.